There are defining moments in your life where you discover - sometimes entirely on accident - the albums and artists that will shape you as a person. You are captivated - that record you bought on a whim from the band you caught just at the last song of their set turns out to be the foundation with which you will build your musical taste going forward. There are also defining moments in your life where you discover the albums and artists which will forever remain locked away in the dark recesses of your mind because of the severity of the horror they've unleashed upon your ears. 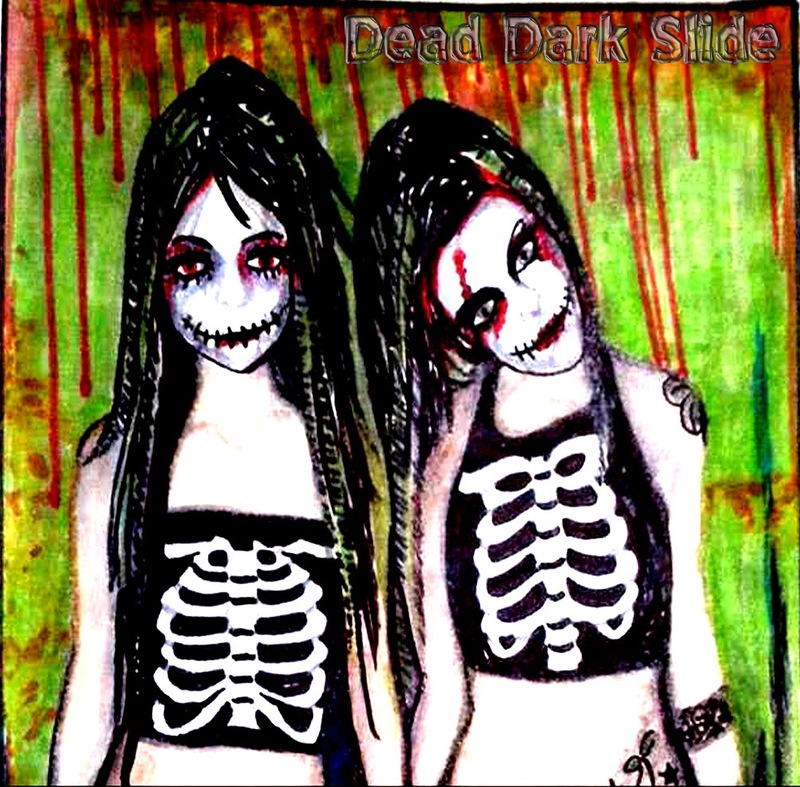 I am Dead, the 5-track EP from Dead Dark Slide, is one of those albums. There's a part of me that really wanted to like this release if only for the sheer purpose of liking one of the only industrial-electro-goth-art-death metal bands out there at the moment. Alas, I could not bring myself to have that kind of dedication to this album. The production on the guitar (while most definitely purposeful) detracts immensely from the possibility of enjoyment. With a tone like crinkling plastic, it overshadows the drum and key tracks and makes the Gollum-esque vocals of Ryan Michalski that much more grating. While there are some interesting haunting keys in Your Blood Runs Red, the album overall wanders in circles, repeating the same riffs over and over with very little variation in each track. After awhile, I Am Dead begins to sound like white noise. I actually started to close my eyes in the middle of the album, and am still having a hard time wrenching them back open thirty minutes later. I've got to say, I first started playing the album and was concerned that my speakers had blown out. So I plugged it in to the auxiliary, just to be certain, and was deeply let down by the horrendous quality of work that Dead Dark Slide delivered. I have no idea how this could translate to an atmosphere conducive with enjoyment while being played live, and I certainly am praying I never have to subject myself to that. I sincerely hope that Dead Dark Slide are successful in what they do in this arena, because nobody deserves to have their passions thrown back in their face if they're doing what they love, but this is just not for me.